Over the years, garage doors suffer through all kinds of inclement weather and the occasional bumps, dings, and dents. When their doors look battered and operate roughly, many people wonder whether it makes more sense to repair garage doors or simply replace them. The professionals at Affordable Door have been Chisago City, MN's garage door experts for over 30 years. They want to help you make that decision by offering the following advice. The decision to replace or repair garage doors usually arises due to cosmetic issues. Wooden panels may be warped or cracked, or metal panels may be showing scratches, peeling paint, or rust. If the damage is only slight, it might not be worth the expense to replace the door entirely; it might make more sense to repair the damage, sand off the rust, and repaint the door. A qualified technician can usually repair garage doors easily when they stop working suddenly or when they feel "heavy." These issues are often a simple matter of faulty wiring, missing hardware, or a door that's out of balance. If a single panel is damaged or missing, this is also easy to repair, though you should do so quickly before other problems arise from it. On the other hand, if the spring mechanism, guide track, or garage door opener is damaged or under stress, it might be a good idea to replace the door entirely. This type of damage can be dangerous, so you should call a qualified garage door repair service to inspect your door. Affordable Door's team of expert technicians replace and repair garage doors regularly, so they can help you decide which option makes more sense for your situation. 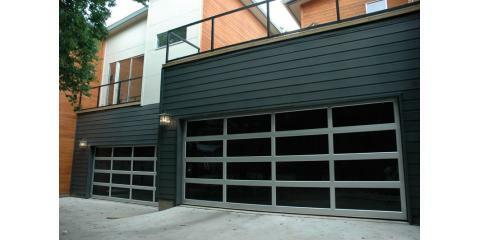 They have over three decades of experience with solving garage door problems and satisfying customers. They offer an unmatched selection of new doors in all styles and colors, or they can refurbish your old door so it looks like new. For more information, visit their website or call (651) 257-8731 to speak to a friendly, professional representative today.